Agron Hajdari is a specialist in Education and Training and aligning education with the labor market. Agron has also been engaged for a long time in teaching and training in different institutions in Kosovo. He is a lecturer at IBCM since December 2018. He has an extensive experience in Project Management and Project Development. Agron also works as an external expert for a number of different national and international institutions in Kosovo. He is an external expert at National Qualification Authority in Kosovo (NQA), board member of Agency for Vocational Education and Training and Adult Education in Kosovo (AVETAE), member of European Association of Institutes for Vocational Training, Brussels (EVBB). Agron holds a Master degree in Business Administration and Bachelor degree in English language and literature. Mihone holds a PhD degree in Chemical Engineering and Technology from University of Zagreb, Croatia and a Master degree in Environmental Engineering from the University of Prishtina. Since 2014 she is a postdoctoral researcher and lecturer in University of Zagreb, Croatia on obtaining glass ceramic from hazardous waste. Currently she works as Head of Environmental and Agricultural Department / IBCM. Subjects taught at IBCM: Biochemistry, Green Energy, Introduction to Environment and Agricultural Studies, Technology, Waste Management. Her major area of interests include: Environmental protection and Waste management. A highly motivated professional individual with diverse scope, sector, and socio-cultural experience, performing in results-oriented environments. Served in both public and private sector, as well as perfectly adjusted in national and international teams. Enriched with theoretical/scientific and practical knowledge through simultaneous engagement in academic and non-academic career. Medina’s teaching experience includes University of Prishtina, IBCM, University of Petra (Jordan), and Lillebaelt Academy (Denmark). Her academic expertise represents research (focused on management and organizational behavior), teaching, and curriculum development. Her non-academic concentration covers business analysis/consulting, project management, and angel investing. Longer term overseas experience includes The Netherlands (4.5 years), United Kingdom (13 months), Turkey (2 years), and United States (5 months). 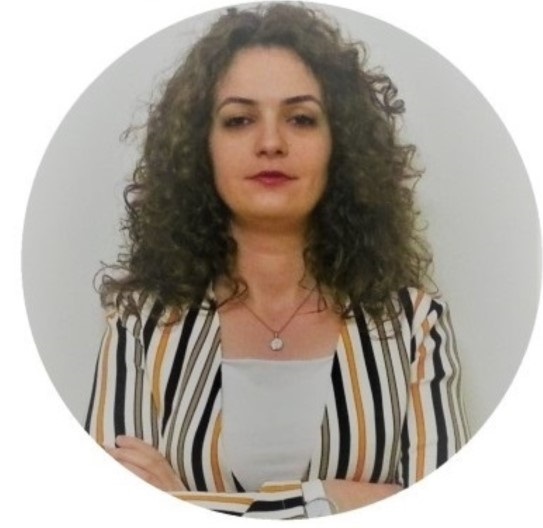 Medina is fluent in Albanian, English, and Dutch, while she has advanced knowledge in Turkish.She also possesses some basic skills in Serbian and German languages. Braha, M. (2018). Larry Page: From X to Y. International Journal of Commerce and Finance, 4(2), 1-11. Hoxha, I., Braha, M., Syrogiannouli, L., Goodman, D. C. & Jüni, P (2019). Caesarean Section in Uninsured Women in the United States: Systematic Review and Meta-analysis. BMJ Open (Awaiting publication). Hoxha, I., Syrogiannouli, L., Braha, M., Luta, Xh., Goodman, D.C., da Costa, B.R. & Jüni, P. (2017). Caesarean Sections and Private Insurance: Systematic Review and Meta-analysis. BMJ Open 7 (8), e016600. EBAN (2016). Compendium of Co-investment Funds with Business Angels http://www.eban.org/2016-eban-compendium-co-investment-funds-business-angels. Braha M. (2015) Angel Investment and Kosovo’s Early Stage Market: A Promising Opportunity? Journal of International Trade, Logistics and Law, 1(2), 75-84. EBAN (2015a), Compendium of Co-investment Funds with Business Angels http://www.eban.org/2015-compendium-of-co-investment-funds-with-business-angels. EBAN (2014a). Compendium of Co-investment Funds with Business Angels. http://www.eban.org/compendium-of-co-investment-funds-with-business-angels-2014/#.VuNpxtJ97IU. Violeta holds a Master of Business Administration (MBA) from IUKB University from Sion (Switzerland). She holds the positions of Head of Public Service Management Programme and Lecturer at IBCM. She currently teaches Intercultural Communications and PR, Applied Innovation, Sales Force Management, Needs Assessment and Project Cycle Management at IBCM. 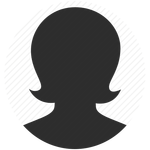 In addition to teaching, Violeta is running the Centre for Women Entrepreneurs Foundation in Skopje (Macedonia), an organization she has founded and is managing through different projects in the field of women empowerment and professional development. At present she collaborates on an international project for migration and diversification. Dori has substantial professional experience in international environment with focus on business development, strengthening competitiveness, strategic planning, project management, investment, policy analysis in various sectors primarily agriculture and tourism.